This book describes the design, physics, and performance of high density plasma sources which have been extensively explored in low pressure plasma processing, such as plasma etching and planarization, plasma enhanced chemical vapor deposition of thin films, sputtered deposition of metals and dielectrics, epitaxial growth of silicon and GaAs, and many other applications. This is a comprehensive survey and a detailed description of most advanced high density plasma sources used in plasma processing. The book is a balanced presentation in that it gives both a theoretical treatment and practical applications. It should be of considerable interest to scientists and engineers working on plasma source design, and process development. 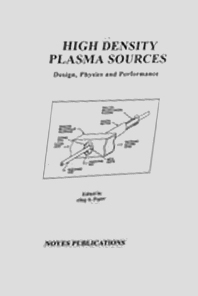 A description of the design, physics and performance of high density plasma sources used in plasma processing.